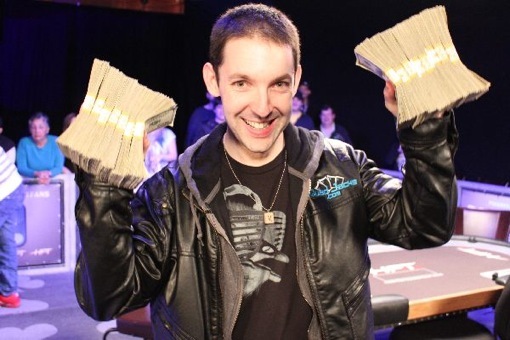 Rob Perelman, or better known as veeRob to you, took down the first Heartland Poker Tour event of 2011. An impressive start to Season 7 for the Heartland Poker Tour. 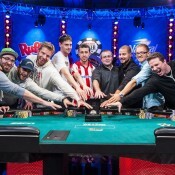 Hosted at Red Rock Casino, the event brought in 533 players. In what should make a “good TV” final table, there were plenty of notables, including MMA star Heath Herring, J.J. Liu, a woman, and Rob ‘veeRob’ Perelman. In the end, the aforementioned veeRob took it down, banking $158,755. For those unfamiliar, veeRob is a FOWCP, part of the so-called poker “media” (many of whom were on hand as part of his final table cheering section) and a frequent casher on the circuit. 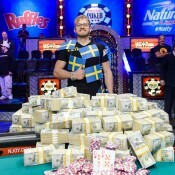 J.J. Liu finished third ($47,786) and Heath Herring finished fourth ($37,167). Other notable cashes included Amanda Baker, a woman (12th, $6,159), Joe Tehan, whose name still looks too much like “Tehran” for our liking (18th – $3,239), and Darvin Moon (37th – $1,487). Get full results here. And watch the below vid for highlights from the kick-off party last Thursday night.